neurotic (nə-rŏ-tĭk) prey to excessive nervousness or sensitivity, often expressed in harmless but eccentric habits or behaviors. 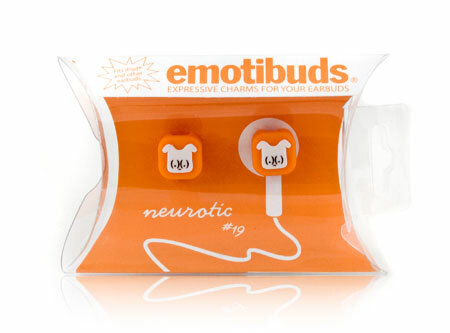 Flexible rubber charms grip onto classic iPod earbuds as well as second-generation Apple earbuds with included inserts. They also fit many third-party earphones. Copyright © 2005-2009 Emotibles.com | All Rights Reserved.